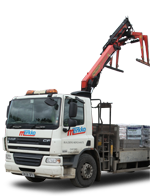 At Merkko we stock a complete range of bricks and blocks at competitive prices. We stock a wide range of building blocks and facing bricks. Our suppliers include Hanson, Cemex and Xella. Not sure what type of brick or block you need for wall construction? Speak to someone in our team who'll be happy to help.